Waste segregation at source is key to solution on problems arising out of ever increasing uncontrolled waste generation. We have to look for solutions at the source of waste generation itself.As per article in TOI on 27th Sept 2016, 431 truckloads of domestic waste is dumped in a single day at east Delhi Gazipur dumping site. This is what we need to work on as it constitutes valuable green waste from individual households and when disposed off mixed in poly bags generates toxic fumes. This mixed domestic waste is a health hazard and cause of great environmental pollution. Out of total domestic waste 65% is from Kitchen and is green waste.Residents and communities should be made aware of importance of waste segregation and it also should be made mandatory.Secondly awareness on easy cost effective ways of composting should be made available and encouraged.Thirdly government and agencies should help in easy implementation of the processes by making space available for the project. The manure thus produced should be accepted by government nurseries. By initiating these measures the problem can be tackled to a large extent. The benefits are bound to surpass the efforts made in this direction. The segregated waste disposal will save time of garbage handlers as they spend close to half a day in segregating waste at Dhalaos. They will work in much hygienic conditions and ensure cleaner environment around waste dumping sites. The valuable green waste will fetch them good money once they are shown and given easy composting solutions.The government will not be under constant pressure to look for landfill sites.Citizens will get respite from air and environmental pollution. 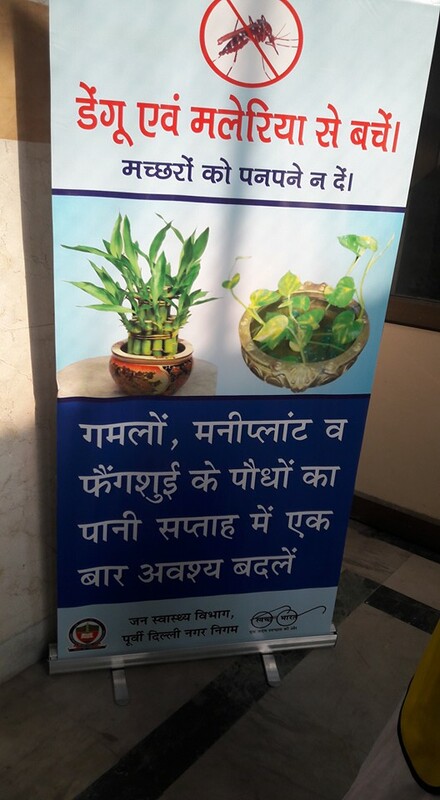 The financial empowerment of poorest of poor would surely have an impact on controlling crime around dumping sites.Lessen the use of polybags for waste disposal.Save stray cows and animals from ingesting polybags along with green waste .And most important would be , that our efforts will lead towards preserving the fertility of soil for future generations. 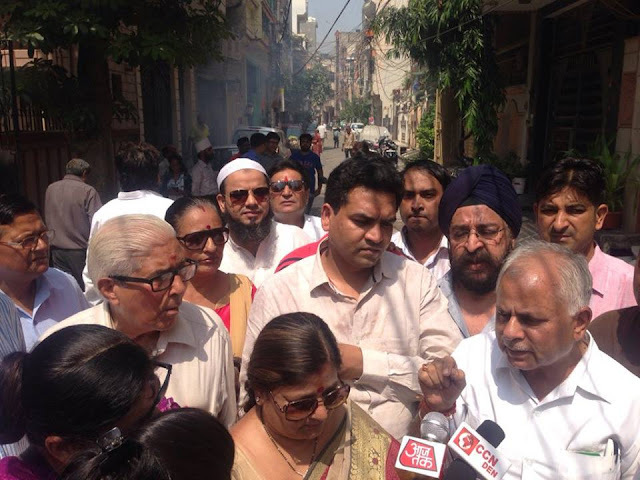 Our SHIELD society has initiated such measures by training people in various localities with fair amount of successes.We had initiated the project more than six months ago in few areas of Sangam vihar ,Safdarjung B4 ,Masjid Moth DDA Flats phase1 ,Shahpurjat Dhalao etc.We in our experience have found that the major roadblocks is our limited outreach to people and awareness on options of composting available to people.Principal of Saint Kabir school Hissar learnt the technique from our Harit Kachra Kranti whats app group and successfully introduced the concept to school children. 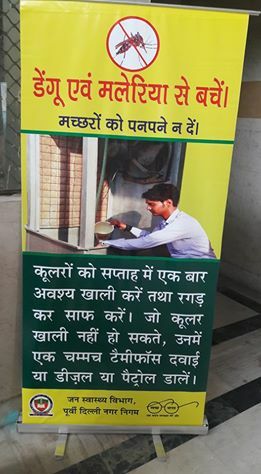 We should introduce this in MCD schools as mandatory school project for class four or five students. At that age children are more receptive to new ideas.The benefits of the project are far reaching and manifold. Since the creators of the problem to large extent are citizens ! rich or poor ,the solution also lies in our hands. 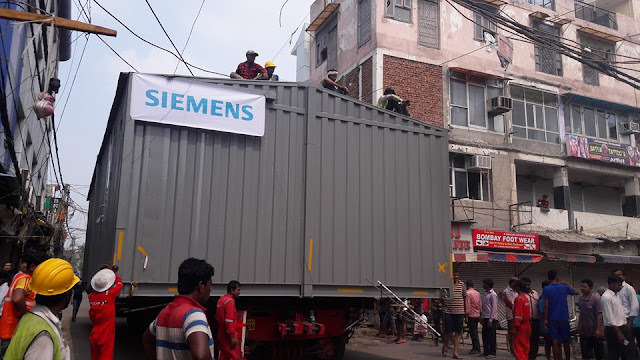 Construction sites have staganted water in shafts /lift shafts,open or partially closed water tanks ,area below staircase ,in basement where dengue/chicken mosquitoes can breed through out the year/through out the period of construction.The chowkidar & resident labour suffers through out.Supervisor/contractor/owner are unaware of the correct method to eliminate breeding.No one like to have dengue /chicken gunya but because no one has guided them properly there is breeding at construction sites inspite of fact that the site is frequently fogged & some chemicals are put at stagant water. The fault is that the stagnant water in shafts is mixed with lot of debris like wooden planks of shuttering which prevent the fog /chemicals from reaching all areas of stagnant water .Further the water in shaft is at a great depth at basement level where fog may not reach.There are water tanks in basement where fog may not reach.The underground water tanks/syntax water tanks are partially covered or covered with only a small opening through which fog may not be able to enter the water tanks. The easy, effective solution is squeezing some kerosene oil/petrol or diesel through the hole in a lid of a plastic bottle over all surface of stagnant water in the various shafts,water tanks,basement & else where . .Kerosene/petrol spreads over the surface of water killing all larvae.It does not kill eggs ,pupa & adults.It has to be repeated after 4 days to kill any larvae which have emerged from the remaining eggs.Adults may be killed by one time fogging.After that koil may be squeezed every 7th day.Water tanks should be kept covered with oversize covers .Shafts should be got cleaned of visible debris frequently .Stagnant water should be evacuated as frequently as possible. Twin attack of Dengu & Chikungunya ! It's now the time to take much more care, much more precautions as now the TWIN ATTACK of Dengue & Chikungunya is being heard. There are instances where persons have got Chikungunya as well as Dengu at the same time or one after another. RWAs must continue its efforts of Fogging the colonies as well to check the breeding. 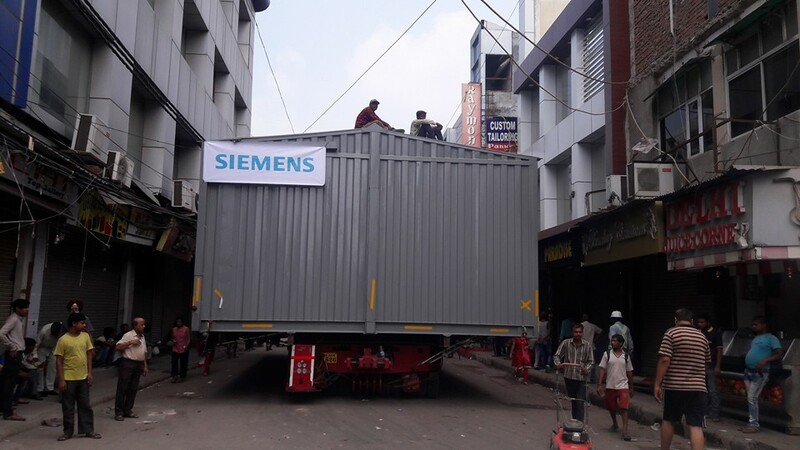 NEW DELHI: Residents of east Delhi’s Krishna Nagar allegedly faced a nine-hour power cut on Sunday night as discom BSES Yamuna Power Limited (BYPL) is installing what they call Delhi’s first state-of-the-art packaged grid in the area. 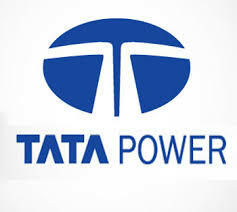 The grid is expected to improve the power supply in the congested area. “The residents spent a horrible night without electricity, without even being informed,” said resident BS Vohra. 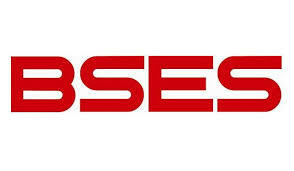 “It was a planned shutdown …It had to be done to avoid any accident,” said a BSES spokesperson. 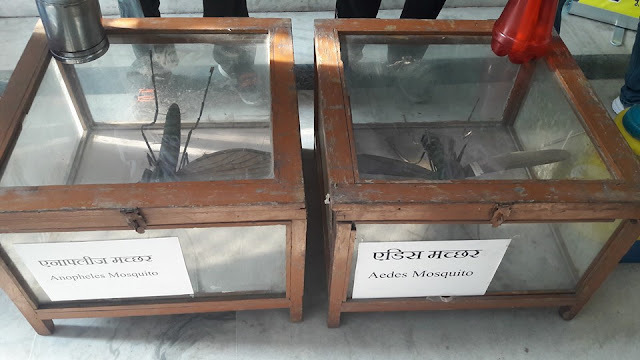 The Delhi lieutenant governor (L-G) Najeeb Jung directed civic bodies to clean the garbage depots or dhalaos twice a day to tackle the rising cases of chikungunya and dengue. Lieutenant governor Najeeb Jung (Centre) holds a review meet to assess sanitation in national capital. 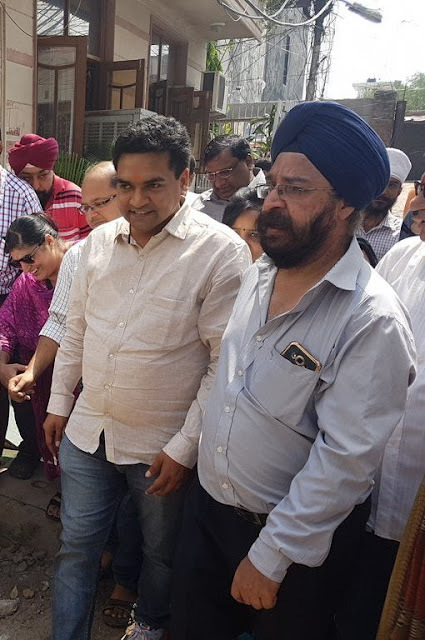 He also asked them to initiate legal action against the concessionaires responsible for cleaning the dhalaos if the order is not complied with. Jung issued a slew of directions after a review meeting on sanitary conditions in the city on Monday. The meeting was attended by deputy chief minister Manish Sisodia, health minister Satyendra Jain, New Delhi Municipal Council ( NDMC) chairman, municipal commissioners, and officials of the Delhi government. Officials apprised the L-G of measures taken to prevent mosquito breeding and create awareness among citizens about vectorborne diseases. Jung asked deputy commissioners( revenue) to visit private hospitals to ensure patients from the economically weaker sections(EWS) get proper treatment. “A report on the same is required to be submitted to the division al commissioner and the L-G’s office regularly,” said a press statement released by the L-G office on Monday. 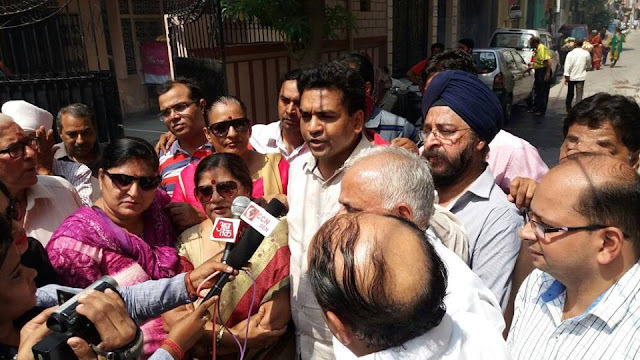 Following the meeting with Jung, Jain blamed civic bodies for the poor sanitation in Delhi. He said that the B JP-led municipal corporations have miserably failed Prime Minister Narendra Mo di’ sS wachhBh ar at Abhiyan. BYPL's largest transformer at Krishna nagar, East Delhi ! LARGEST EVER power transformer being installed in Delhi by BYPL at a new power grid at Lal Quarter in Krishna nagar. But how DERC allowed it in this very crowded n congested locality is really the cause of concern. 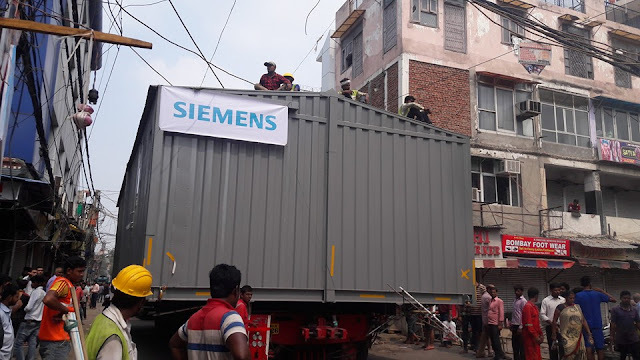 We the residents spent a HORRIBLE night without electricity, without any intimation, while the transformer was being transported to the designated site. We can just hope that this biggest ever transformer will bring an end to the power woes of entire area. 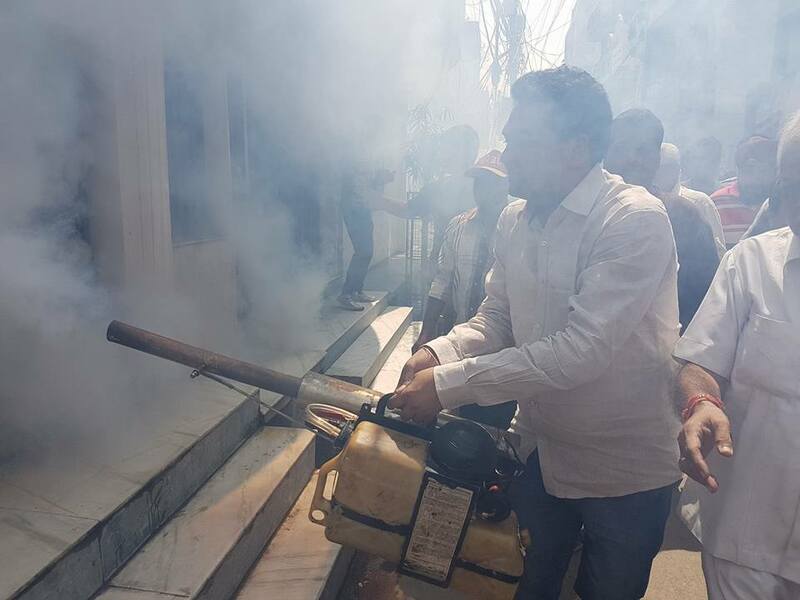 DENGU - CHIKUNGUNYA : क्या आपके इलाक़े मे फॉगिंग हुई है ? दोस्तो, डेंगू और चिकुनगुनया का दौर चल रहा है. 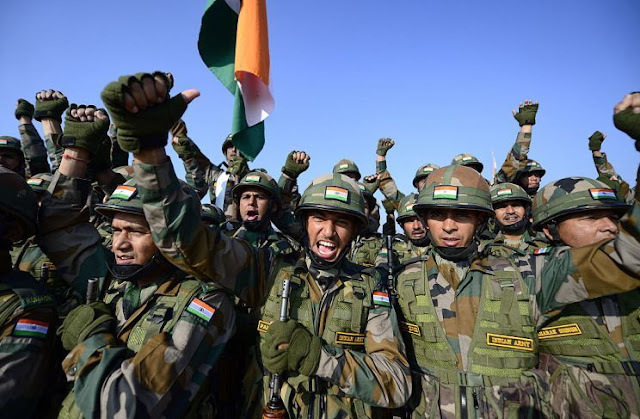 हम आपसे सिर्फ़ इतना जानना चाहते हैं कि क्या आपके इलाक़े मे फॉगिंग हुई है ? अगर आपके इलाक़े मे फॉगिंग नही हुई है तो कृपया इलाक़े का नाम, गली नंबर, मोबाइल नंबर लिखें ताकि आपकी डीटेल, कन्सर्न्ड अथॉरिटीस को फॉर्वर्ड की जा सके. 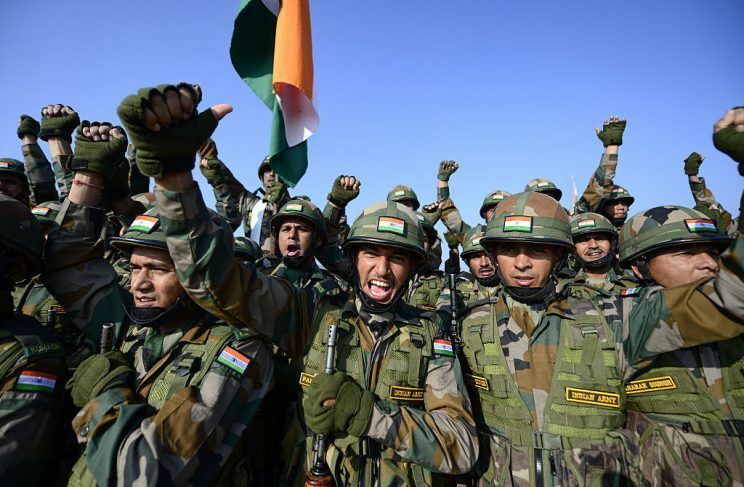 अगर फॉगिंग के अलावा भी डेंगू व चिकुनगुनया से रिलेटेड कोई प्राब्लम चल रही है तो भी हमे लिखें. हमारा E MAIL ID नीचे दिया हुआ है. Labels: Chikungunya, Dengu, क्या आपके इलाक़े मे फॉगिंग हुई है ? 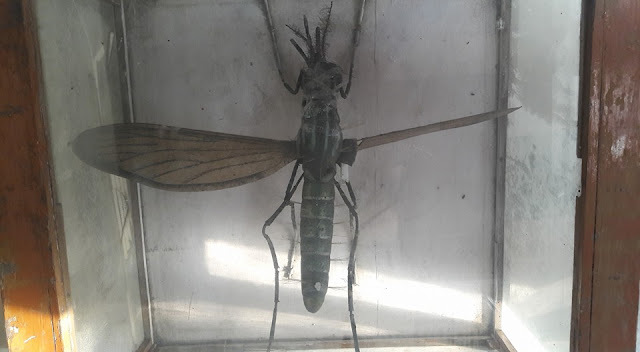 These mosquitoes bite in day.They can be breeding in a drain in front of a house or in an open water tank in a house under construction or in any other ditch /collection of water from what ever source.Mosquitoes need blood for their meal for which they fly upto 200 meters in morning to reach people from the site of breeding.Since maximum numbers of stationary people are available only in parks,maximum numbers of these mosquitoes can be seen hovering around people sitting in parks .In the parks they are seen more on people sitting under a shade then those sitting in unshaded areas of parks as they avoid direct sun light.They are seen both in morning & evening. The site of breeding is nearest to the place where they are seen in maximum numbers in evening because it is this time that they emerge from the site of breeding & later spread all over. These mosquitoes are not in thousands but are in small numbers like 2-10 at a place & are small ,move with rapid action & most of them are already sitting on some portion of people already sitting in the area which makes it difficult to see them if one is not aware.To find them one has to actually glare people all around them for which one should take their prior permission by a simple question. 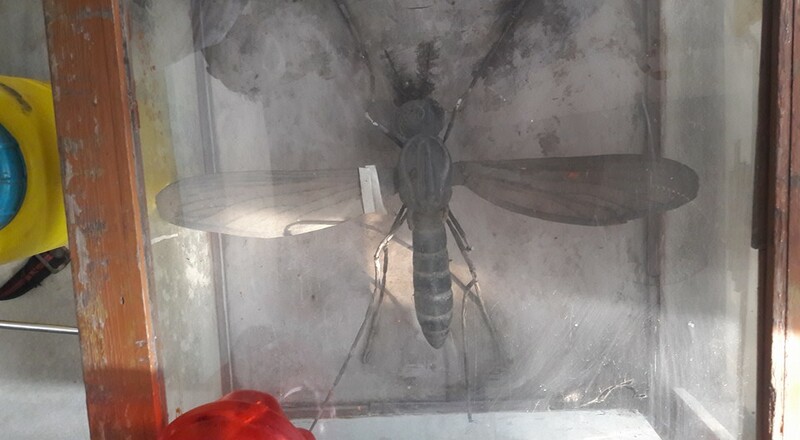 May I see if there are dengue mosquitoes biting you as they bite in day time?. 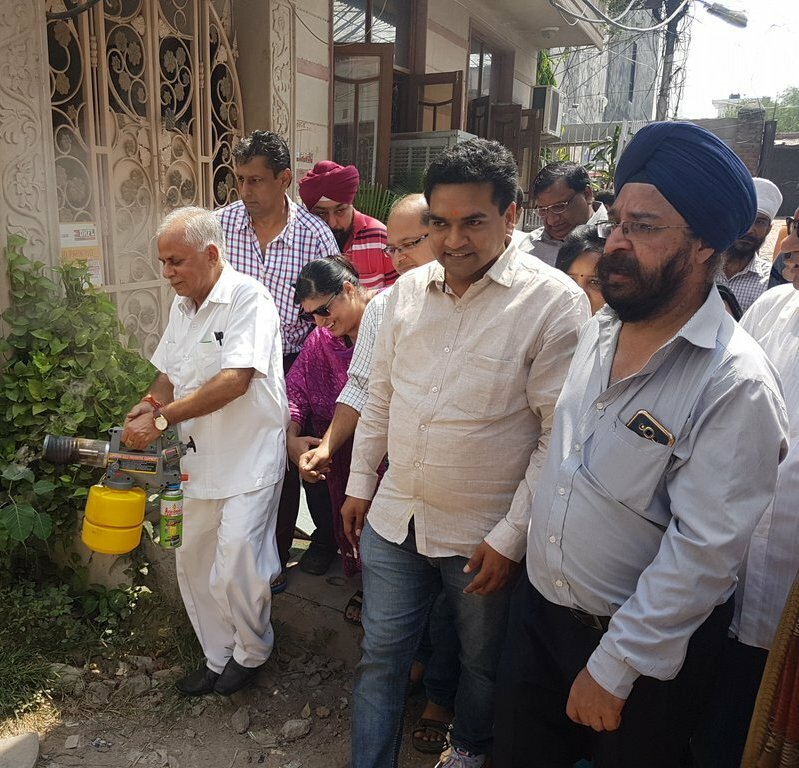 If all portions of all parks of a colony are free of dengue mosquitoes in morning & evening,one can say that the colony is safe. 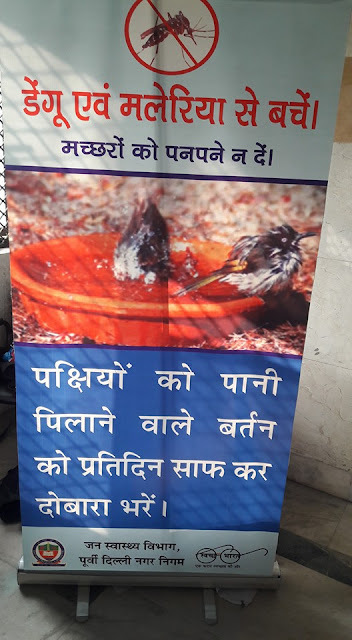 It is necessary to practice to see dengue mosquitoes & show it to people in park as well as to people living around parks so that they can take measures to prevent flow of excess water in drains or in pots & take measures to kill larvae. One does not have to fear dengue mosquitoes but has to detect them,detect breeding site & eliminate the breeding for the safety of all people including one,s own family members/friends. Before going to park,cover your body with thick cloths,apply odomos on uncovered portions & take a good mosquito racket with you.It is just a ten minutes job to finish them for ever safely. Asingle breeding place in a colony can give hundreds of dengue mosquitoes to whole of colony continuously but initially there may be many such sites. Fogging does not reach the breeding places whilelittle kerosene/petrol/diesel spreads over the surface of water killing all larvae. For any suggestions/quarries please do email. Dengu - Chikungunya Drive by DM East ! A. Maps of newly demarcated Constituencies have not been posted for citizens to see if Clauses 2 and 3 of ‘Principles of Delimitation’ have been followed. B. Contiguous Areas of a colony have been randomly placed and in no specific order making it difficult to spot Omissions and Commissions. 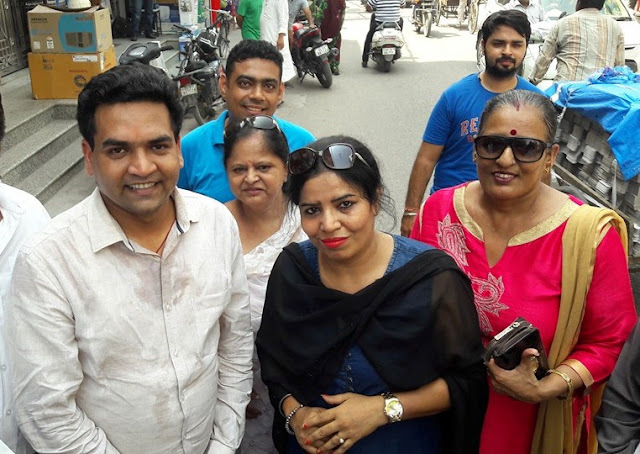 C. NEHRU PLACE - We notice Part of Nehru Place is in Greater Kailash Ward 086-S and a part that was earlier in Ward 192 (GK) has been placed in Kalkaji Ward 090-S both now under two separate Assembly Constituencies. D. SHAHPUR JAT – a small section of 347 votes of Shahpur Jat has been placed in Chiraag Dilli, while the Major part has been shifted to GK. E. EAST of KAILASH - Various areas and Blocks of East of Kailash are listed under three Constituencies ie. 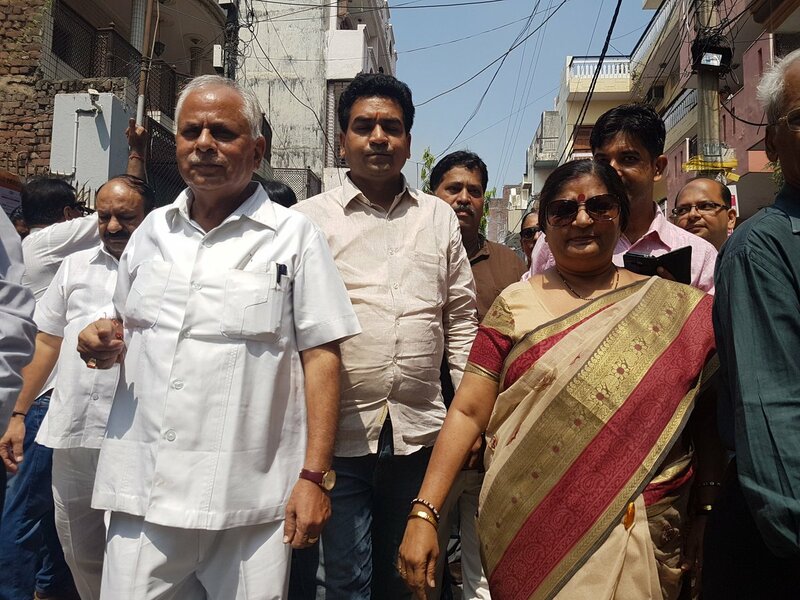 GK, Srinivas Puri and Kalkaji spreading across two separate Assembly Constituencies. 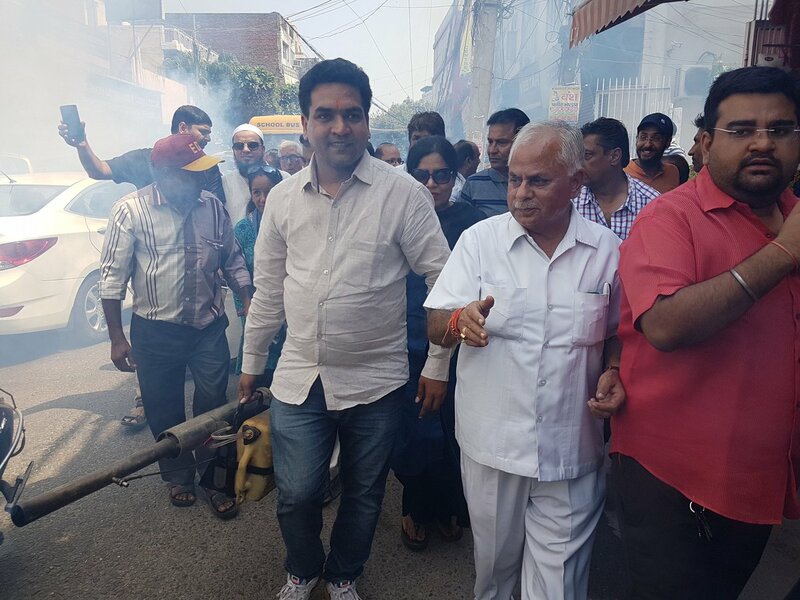 F. FINALLY: The question is, why have all attempts to streamline MCD come to naught? Doubling of Councillors and Delimitation in 2007 and Trifurcation of MCD in 2012 ...... were experiments carried out to achieve a POLITICAL STRANGLEHOLD RATHER THAN TO ACHIEVE EFFICIENCY. 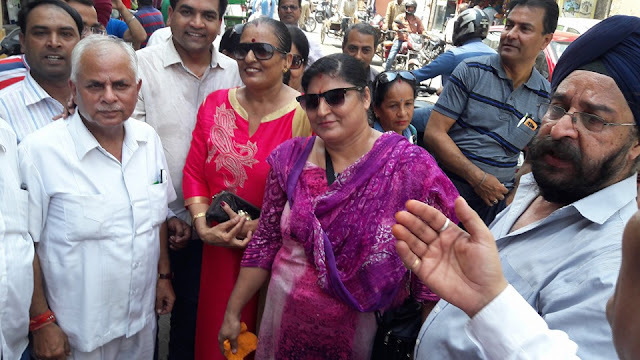 The latest attempt at Delimitation of MCD Wards on the basis of Population is again aimed at Political Hold over the most Vulnerable section. 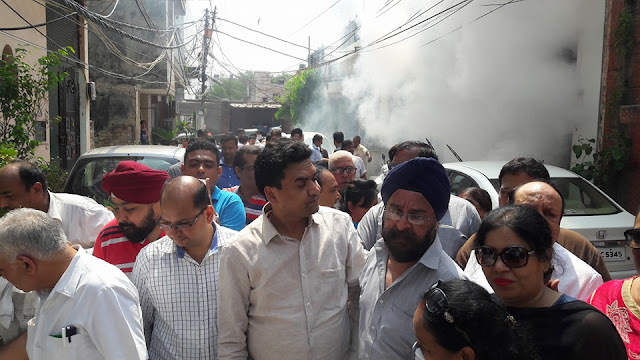 No one is against development of deprived sections of the city but tilting the balance of Political Power on the basis of Population alone will create animosity amongst fellow citizens. TO THE BEST OF MY KNOWLEDGE NO SOCIAL / FINANCIAL AUDIT HAS EVER BEEN CARRIED OUT TO FIND OUT THE OUTCOME OF ALL PREVIOUS EXPERIMENTS MENTIONED ABOVE ...... WE NEED ANSWERS. 1. CONTENTION: Issue of Bogus / Dual Voters is unresolved. SOLUTION: Delimitation should be put on HOLD till EC convinces Citizens that there are no Bogus / Dual Voters. (Copy of Full CIC Order dated 13-01-15 to an RTI attached) ...... Extract ...... “Appellant said that because of criterion that MP or Councillor’s recommendation substituting the proof of residence, there are huge number of bogus votes in Delhi constituency which has capacity of rendering the whole process of elections in Delhi into a farce. The Election officers are trying to delay and deny the information instead of providing as he sought for. When an affidavit by elected members of Parliament or Municipal Councillors could be the basis of giving a voter card, what action the government would take in case one single person getting more than one voter card? He said that answers to his questions would lead to detection of bogus voters and their elimination, which is highly essential to protect public interest and democratic process. 2. CONTENTION: The status of Unauthorised Colonies and Encroachments on Public Land is Subjudice / Undetermined. SOLUTION: Delimitation should be put on HOLD till the Status is Cleared by Supreme Court. SOLUTION: Investigate presence of large number of migrants who have obtained Voter Cards in Delhi while they continue to Vote in Native State/Panchayat Elections. A Panchayat / BPL / Ration Card is a Valid Identity Document in other states. The Law is clear that no citizen can Vote in two parts of a country. Start Awareness Drive and Prosecute those having Dual Domicile. Link all Voter I Cards to Adhaar to weed out Duplicate/Bogus Voters. 4. CONTENTION: MPD-2021 places a Legal Bar on number of Dwelling Units, Building Bye Laws prevent exponential growth in PLANNED DEVELOPED COLONIES, while there are NO SUCH CONTROLS over Villages / Unauthorised Colonies / JJ Clusters etc. where each floor has many small ill-lit rooms with no control on number of occupiers or dwelling units, far exceeding MPD provisions. 5. CONTENTION: Illogical Population Criteria for Delimitation, while increasing Geographical Spread. SOLUTION: A balance of Geographical Spread, Population, Tax Collection, Infrastructure requirement etc must all be given due weightage. Democracy does not mean Majoritarianism, if the same formula were to be applied in Assam / West Bengal / Bihar / UP etc, then many High Density Areas would get many more MLA Wards ....... if such Delimitation is not acceptable there, then why such need in Municipal Wards. 6. CONTENTION: Populism and Discriminatory deployment of funds will be the net outcome of Population Based Delimitation. The Ministers, Mayor, Chairmen of Committees etc will now be from areas with more Councillors. Areas with SIX COUNCILLORS WILL GET DOUBLE THE AMOUNT OF LAD FUNDS. Larger Geographical spread requires more funds due to Longer/Wider Road Network, Larger Parks, more Street lights, larger surface area for Sanitation, larger Network of Drains for desilting etc and such areas pay higher Taxes. SOLUTION: Wide discussion with RWAs, Sociologists and Weeding out Dual Voters must be ensured before delimitation. Due weightage must be given to other factors and not just Population. 7. CONTENTION: Discriminatory towards Law Abiding Tax Payers in Planned Developed Colonies who are already disillusioned with Vote Bank Politics. SOLUTION: Create Constituencies that balance Equitable Social Development, by ensuring franchise to Genuine Stake Holders and not freebees seeking Captive Bogus Voters. CHETNA (NGO) and the Undersigned had earlier filed a PIL to end Boothwise declaration of election results, so that absolute secrecy of Vote is maintained to AVOID EXPLOITATION OF POOR AND RICH ALIKE (Law Commission has now cleared the proposal for future Elections). That is when we had discovered many loopholes in the process of making Voter Cards for Political Stranglehold. These are preliminary submissions, I request you to give an opportunity to elaborate in person along with fellow activists so that our concerns are suitably addressed. It is time we took responsibility for the amount of waste generated at our homes and within our communities. The Harit Kachra Kranti team trains people and communities on composting kitchen waste at home with the ultimate aim of reducing pressure on landfill sites.The benefits of composting at home are manifold. - Protects environment as the green waste gets returned to mother Earth in pure form. - Reduces pressure on waste landfill sites. - Waste handlers at dhalaos sites learn to compost and earn from the sale of the rich soil used as fertilizer. It also protects them from health hazards arising from unsorted waste. Many residents in Masjid Moth DDA Flats phase1, Sangam Vihar, Devli, Saket Golf view apartments, kitchen garden association of India and Safdarjung residents compost their kitchen wastes and have started the process to save their local garbage collection areas from stench and pests. The Gandhi Peace Foundation also endorses composting as a means to reduce city waste and supports our teams efforts.Residents of Masjid moth phase 1 after initial success in community composting are moving towards making their colony waste free. You too can learn to compost! It is safe, clean, easy and requires minimal monitoring. Contact our team now to organize a composting workshop in your area. Here's to a greener tomorrow! 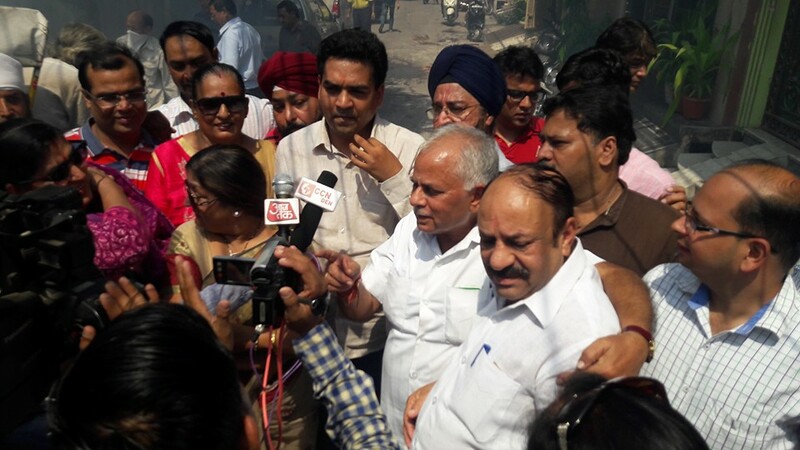 East Delhi RWAs Joint Front - IN ACTION - against Dengu & Chikungunya ! 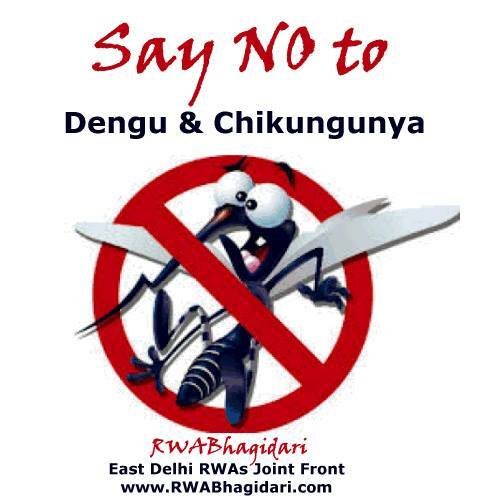 RWAs drive against Dengu & Chikungunya ! We request the RWA community of Delhi to come out on roads to combat Dengu & Chikungunya that has gripped our city very badly with atleast 11 deaths so far. RWAs now its the time to show our metal. Come out on the roads to check any water deposits, any possible space where we can expect the breeding. 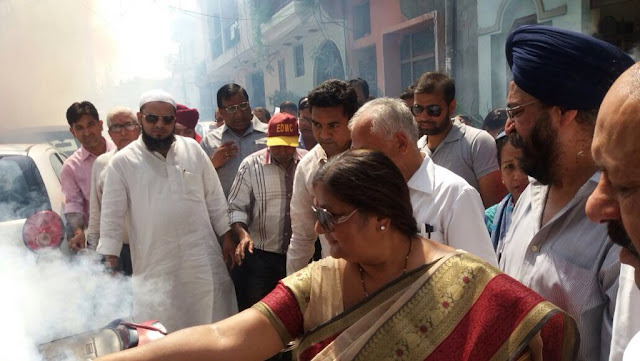 Catch your elected representatives with fogging & spraying machines to serve the society. 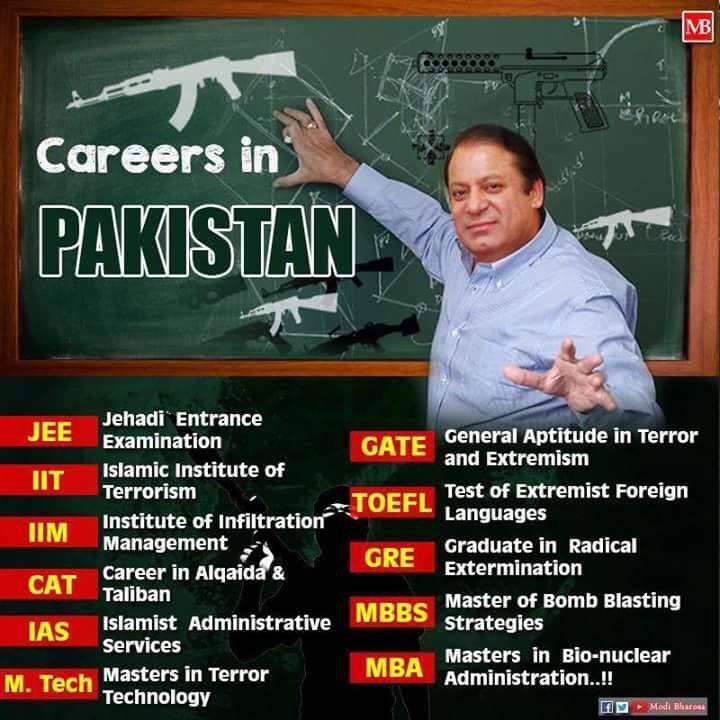 A Govt. to work & not to troll on Twitter ! RWA- Not too late to act on Chikungunya ! Suggestion for metro fare ! मेरी दिल्ली मेरी शान - छा गए मच्छर निकली जान ! BYPL, BRPL, TPDDL consumers - Do you know ?